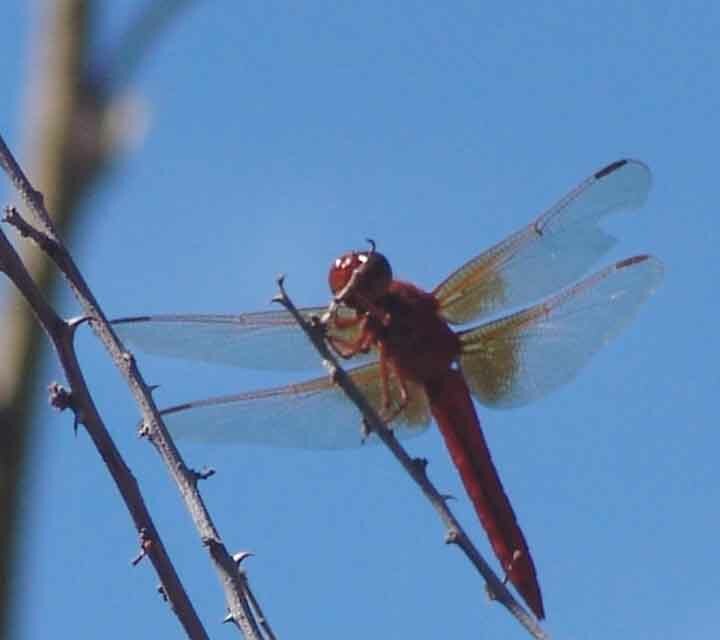 Members of the Order Odonata have "two pairs of long membranous wings nearly equal in size and with many cross veins" (Castner p. 55). Their heads have biting mouthparts, short antennae, and very large sphericoid compound eyes. 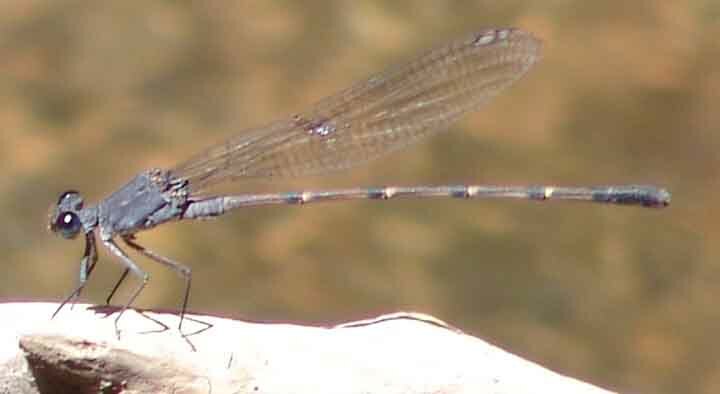 The aquatic nymphs are predaceous. 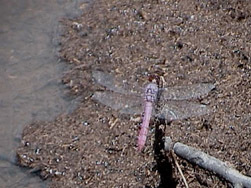 Many of the images below may be enlarged. 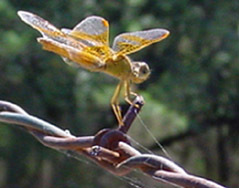 Wings are held out to the sides, hind wings are broader at the base than the forewings, and in most species the huge eyes come into contact at the top of the head. 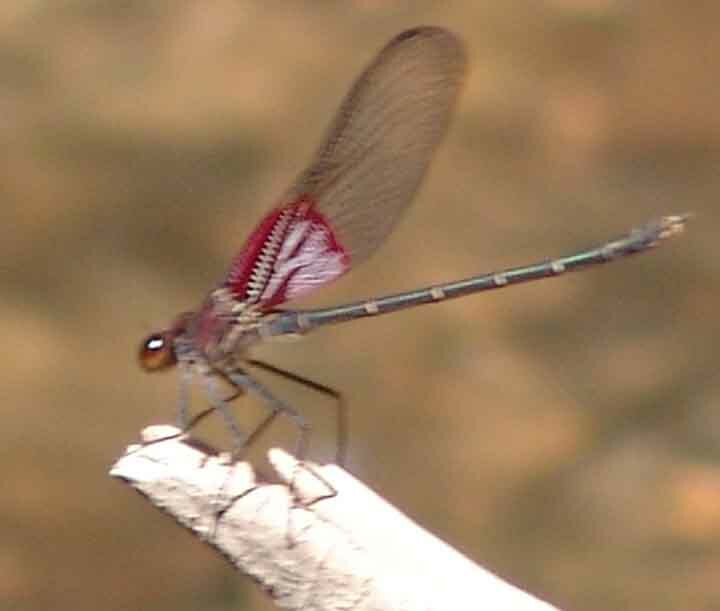 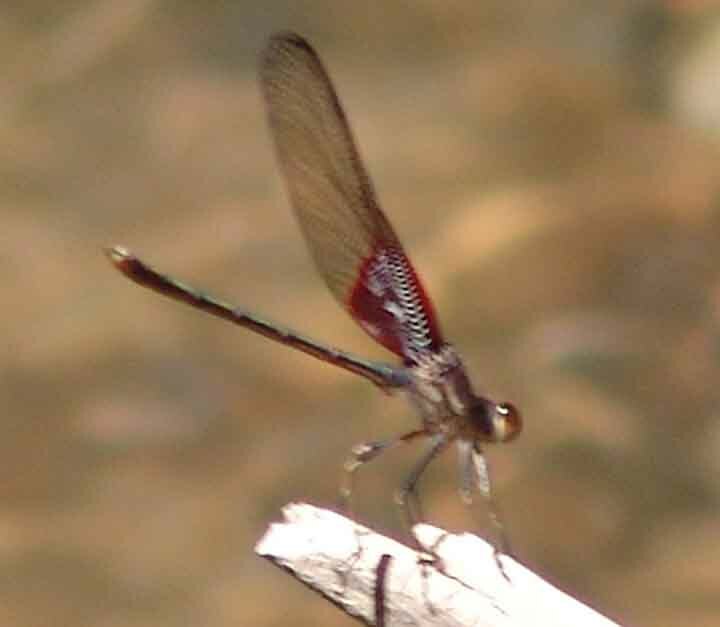 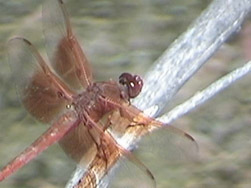 Wings are usually held together over the back, hind wings and forewings are similar, eyes are separated; these insects are smaller and more slender than dragonflies. 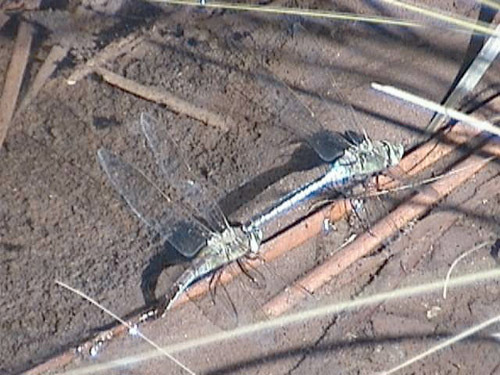 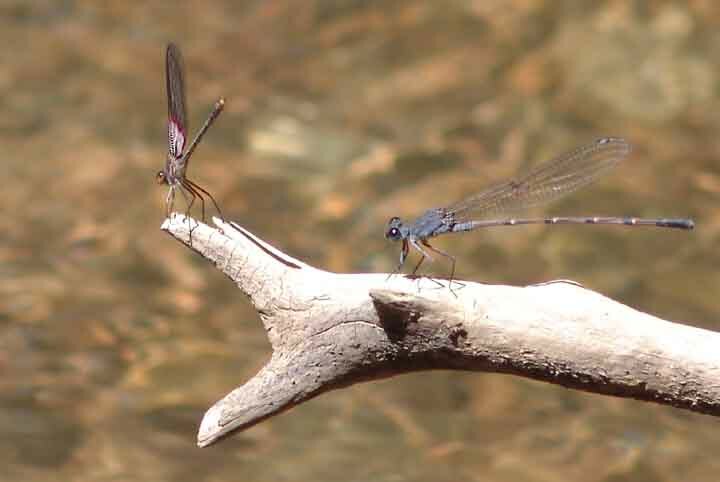 Male and female in tandem, female laying eggs. 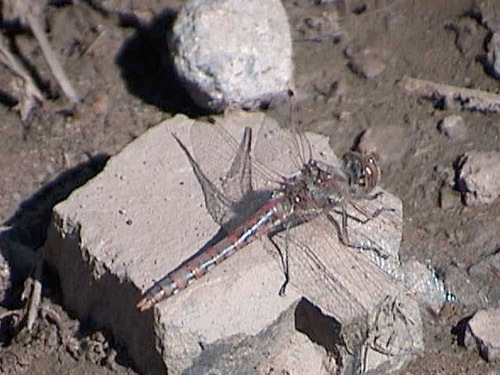 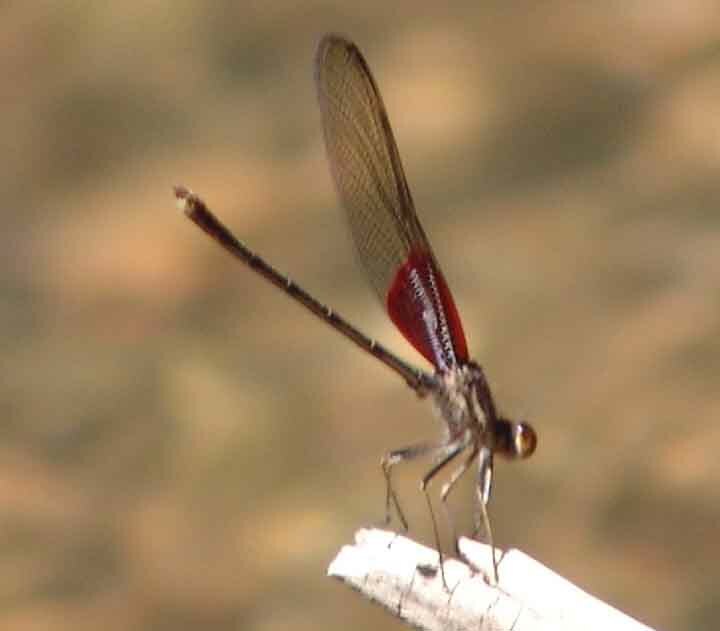 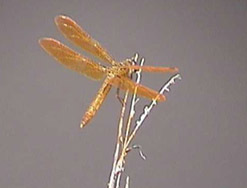 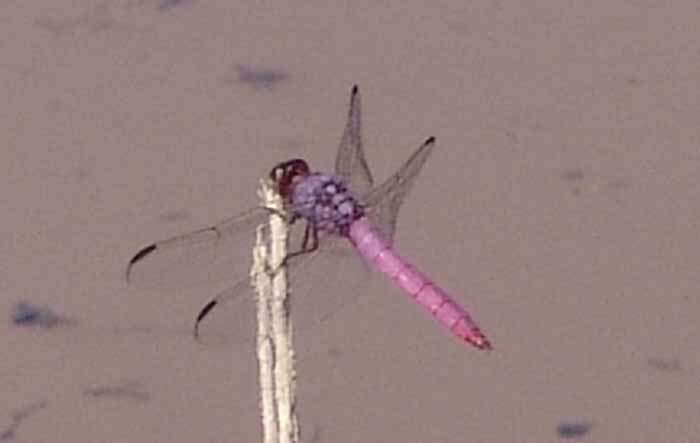 Neon Skimmer (Libellula croceipennis), a close relative of the Flame Skimmer (above), seen in Sierra Blanca Spring, September 9, 2004. Here, below, are close-ups of each. Thanks again to Dennis Paulson for identifications. 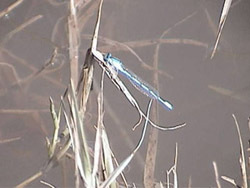 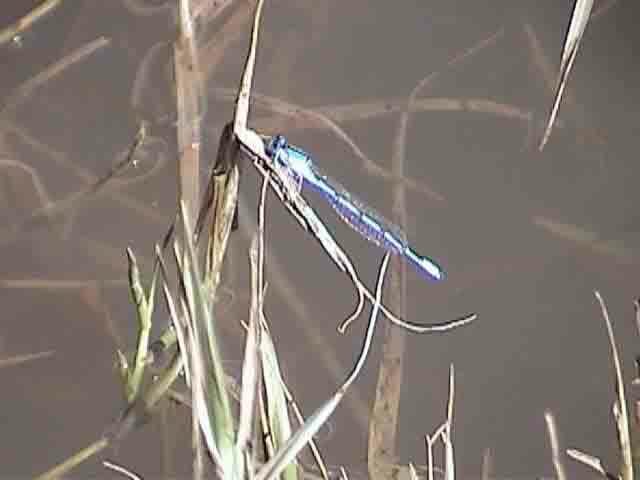 You can see the characteristic Damselfly separation between the eyes very nicely in this image.